George is an Ngadj Ndadji Noongar man with ties to Balardong boodjar from his father’s family and has cultural ties with Whadjuk boodja as well.  George is currently Chairperson of the Noongar Boodjar Language Cultural Aboriginal Corporation. He was elected as Chair of the Board of Directors after participating in the project for several years and demonstrating his dedication and commitment to the strengthening and revival of Noongar language and culture. 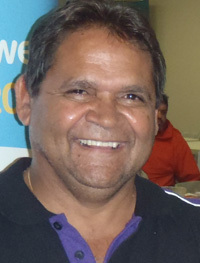 George started his commitment to Noongar language by undertaking LOTE training in the mid 1990s within the Midland district, travelling to rural and regional towns to support language in schools and community events. Today George is at Curtin University as an Associate Lecturer with the Centre for Aboriginal Studies within the Faculty of Health. He has completed his Bachelor of Applied Science in Indigenous Community Health and is currently in the process of doing his Master of Business Administration, George hopes to continue his career as an Indigenous Lecturer to create a strong voice for Noongar people in community development and learning for all. Gloria was born in Pingely, Western Australia. She is one of ten children born to Andy and Alice Bennell (nee Hill). 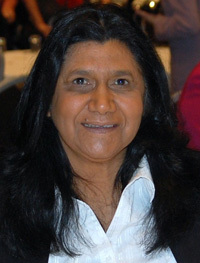 While working at Djidi Djidi Aboriginal School, she attended the Languages Other Than English (LOTE) program to be able to teach students the Noongar language. As a mature students, Gloria completed a Child Care course at TAFE before working at Djidi Djidi Aboriginal School. 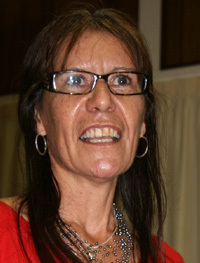 She was employed as a Aboriginal Islander Education Officer and a LOTE teacher. 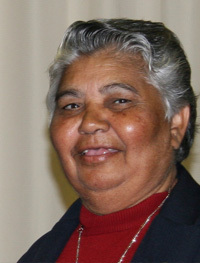 Gloria is retired but still works with her community to support Noongar Language revival. She is a founding member of Dandjoo Moordiyap Dabakarn and participates in many of the project activities. Brett was born in Pingelly and at young age his father and mother moved the family to Armadale for better education and employment opportunities and that’s where they live today. Brett, his wife and three sons, live in Mandurah and are actively involved in the local community. 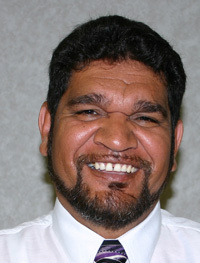 He is currently employed as Team Leader for the Indigenous Electoral Participation Program (IEPP) with the Australian Electoral Commission (AEC) responsible for working with the community to raise awareness of the democratic and electoral processes; to increase voting levels and to decrease the levels of informal voting. 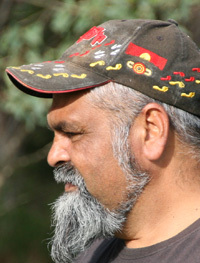 Karim is a Noongar man with connections to country to the Donnybrook, Collie, Busselton, Bunbury areas in the south-west. He has worked for the Department of Parks and Wildlife for 20 years. Roles over the years include a seasonal firefighter, Conservation employee, Aboriginal Training Supervisor, Project officer with south West Native Title section and now with the AHU. Karim has made a significant contribution to increasing understanding of Noongar culture and how people live with their country and ensuring all Aboriginal interests are considered in relation to Parks and Wildlife legislation and policies. He shares his knowledge of traditional skills and practices, and how they are applied to today’s world through participation in education activities, community events and community development programs, including the Noongar Language Program. 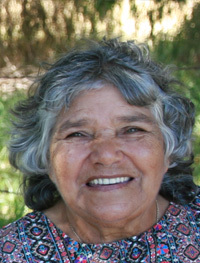 Beverley Rebbeck is a Noongar Woman. Her father’s country is the Kaneang and her mother’s country is the Wilman from the south-west, of WA. Beverley has worked in Aboriginal Affairs throughout the State of WA, with all levels of Commonwealth, State and Local Government programs and has had the opportunity to work with many Aboriginal People and Aboriginal Communities. Beverley has a strong commitment to Aboriginal Cultural Heritage Management, Reconciliation and the preservation of Aboriginal Oral Histories and Languages. Coleen’s role as the Project Officer for Aboriginal Languages entails co presenting the Aboriginal Languages Teacher Training course within the Department. The course aims to provide quality language speakers and program’s throughout West Australian public schools.